AC/DC have issued the first photo of their new lineup without founding member Malcolm Young. 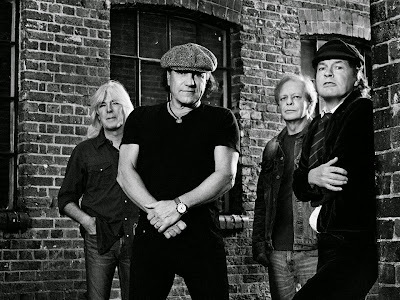 The image features singer Brian Johnson, guitarists Angus and Stevie Young, and bassist Cliff Williams … noticeably absent is drummer Phil Rudd. The band recently used Bob Richards (Shogun, Adrian Smith Band) to handle drum duties for the filming of a pair of videos in London earlier this month, with Johnson telling fans that Rudd had been called away at the last minute to deal with a family emergency. AC/DC recorded the project at Vancouver’s Warehouse Studio with producer Brendan O’Brien (Aerosmith, Pearl Jam) and engineer Mike Fraser. Angus and Malcolm’s nephew, Stevie, handled rhythm guitar on the album after Malcolm stepped away from the group to deal with ongoing health issues related to dementia, according to his family; he is now officially retired from AC/DC. 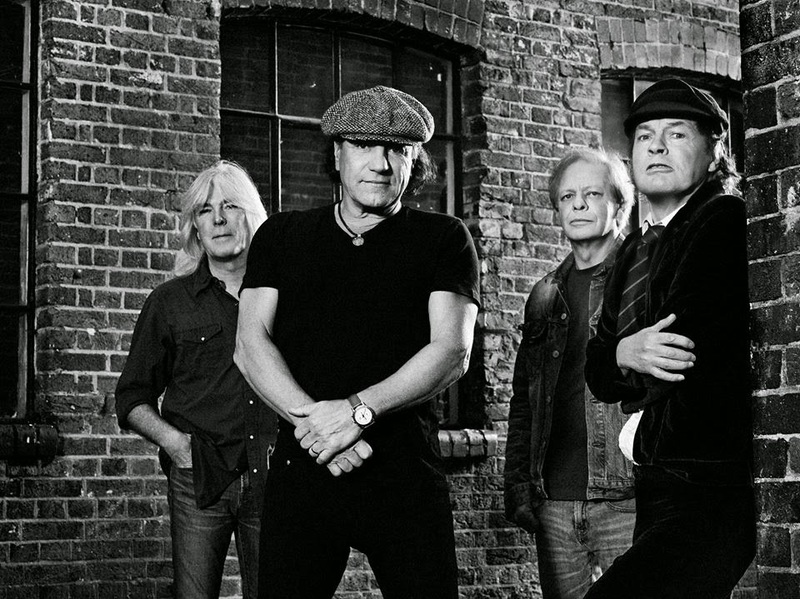 The group will launch a world tour in support of “Rock Or Bust” in 2015.